This is a repost from February 2016. In this Martin & Sylvia Nature School story, "A Geometry of Hearts", Martin is curious about math and how it will play out in his future. When Momma explains that math shows up in all parts of life, Martin wants examples. Momma talks about several different ways to use math, but when she lands on geometry, Martin interest is primed for an exploration of shapes at Goose-eye Wilderness School. 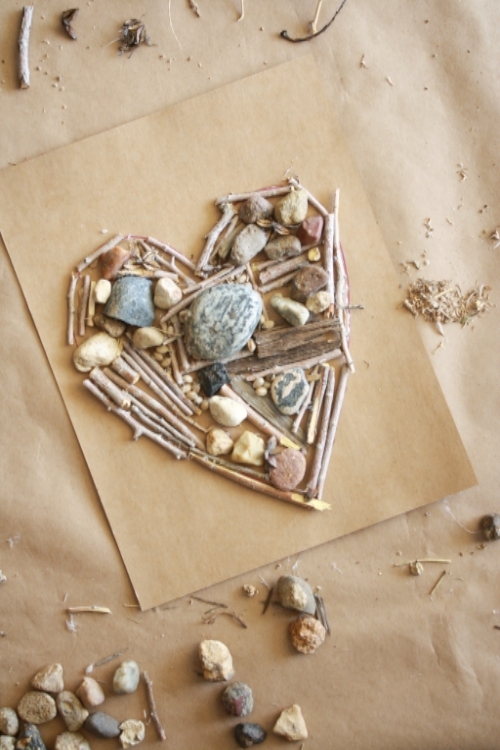 We are joined by Dawn of Mud Puddles to Meteors who shows us how to create our own geometry of hearts using nature materials found just outside your front door. 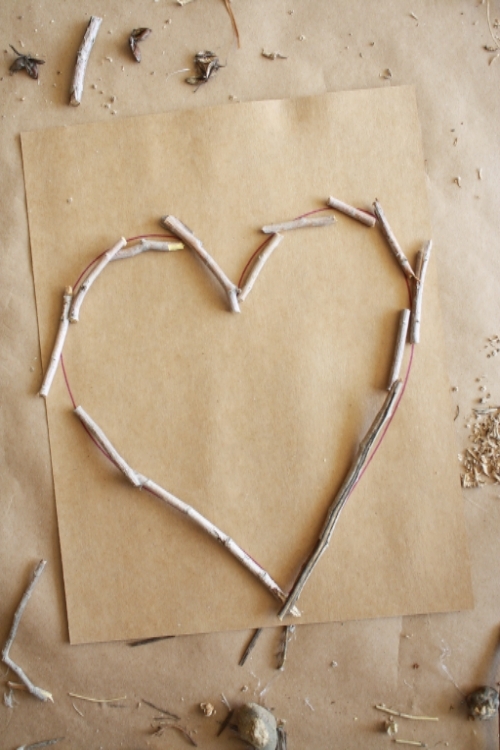 Valentine’s Day was jsut this past Sunday, but that doesn't mean you can't make a few hearts to help spread the love though out the rest of the week. 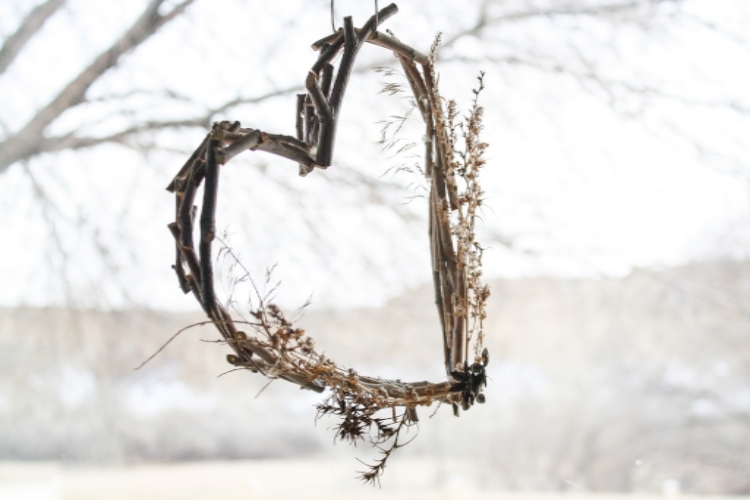 We decided to make some hearts out of things we gathered from nature. 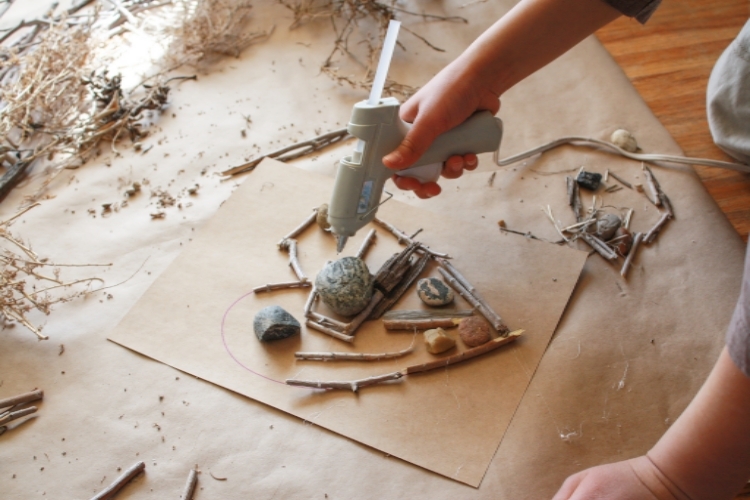 They are super simple and require little supplies, but offer endless possibilities for creativity. 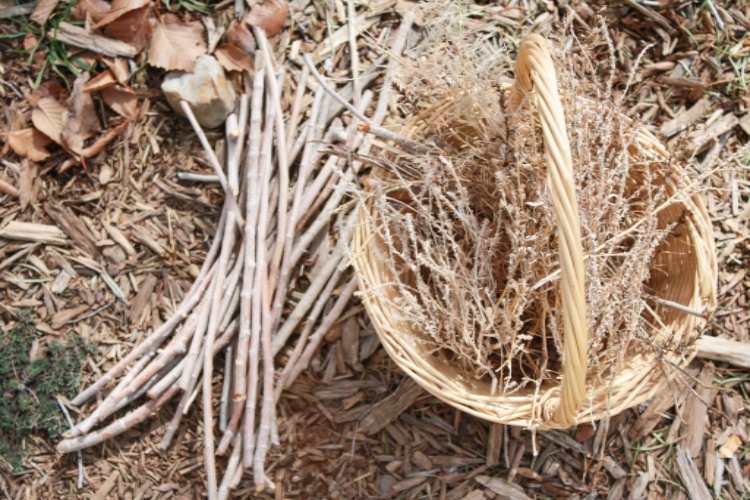 We headed out to collected our supplies the other day, having a nice conversation about plants in winter, seeds, and what will happen in the spring. I filled my basket, he filled the pocket of his hoodie, and we heading back in to make our hearts! Draw a large heart on the paper. This will provide an outline for your nature heart. 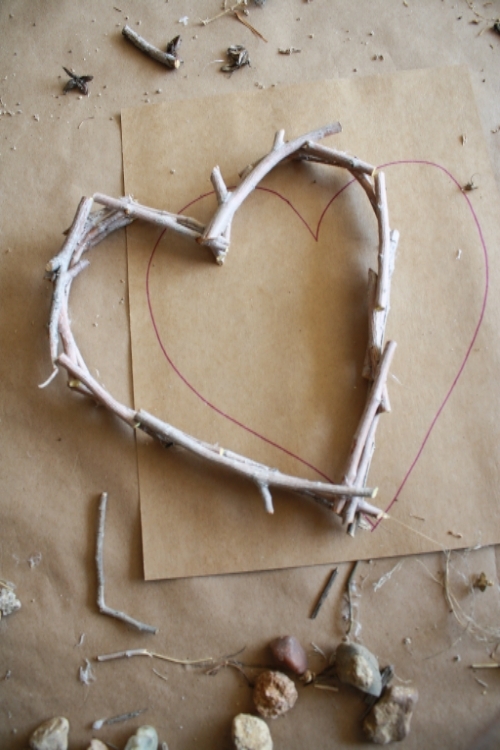 Lay sticks down around your heart outline so that they overlap and glue the sticks where they touch. Keep glueing more and more sticks to build up the outline. If you like to keep things super simple you can stop as soon as you have a stable heart. It does look nice with just the sticks. 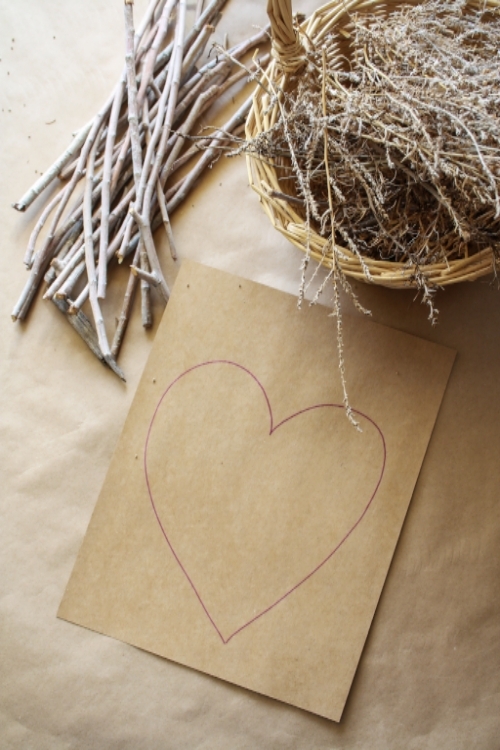 Begin adding other nature finds around your heart. You can add as little or as much as you like, cover some or the entire heart; it is really up to you. 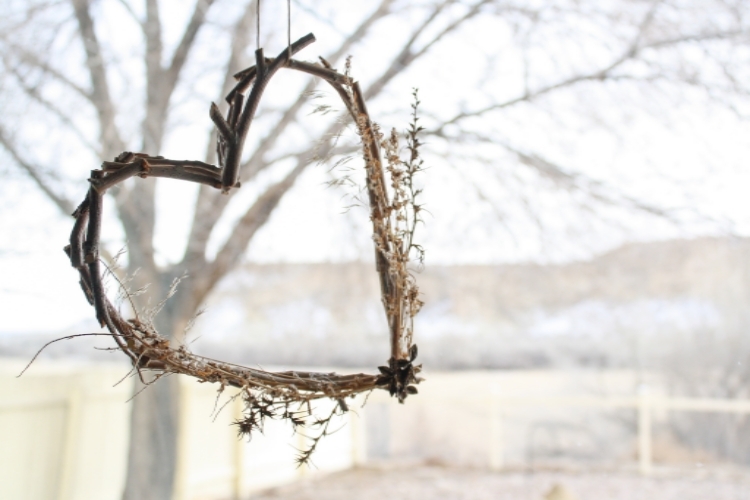 Tie a string or ribbon through the middle of the heart to hang. 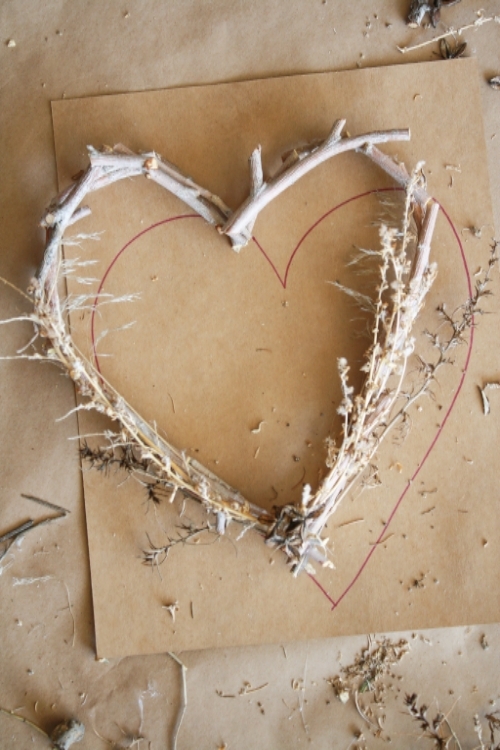 Another way to make a nature heart: When we laid out all of our materials my son started filling in his heart with the nature he had found. I had envisioned the heart above for this project, but he took off and starting with his “center rock” he began filling in and building a beautiful heart filled with his finds, and a few of mine. It turned out wonderful and was fun for him and much easier than the heart above. Draw a heart as above. Glue in nature finds to fill in the heart. That’s it! Super fun and very simple, but got us outside gathering, learning, and observing, along with creating for a good part of the day. Dawn Suzette Smith is a self-taught naturalist and trained educator. For the past 15 years she has worked to promote children's connections with nature as well as outdoor pursuits for both physical and mental health. Her writing and photography have been featured in various print and online magazines and books and in exhibits with the National Park Service. Dawn currently homeschools two curious nature lovers and leads nature walks year-round to help families connect with nature through child-led nature study in the wild forests and along the rugged coastline of Nova Scotia, Canada. Along with Annie Riechmann, she is also the author of the upcoming Whatever the Weather: Science Experiments and Art Activities That Explore the Wonders of Weather (Roost, 2016). You can find her work at Mud Puddles to Meteors, a blog dedicated to finding nature in the well traveled corners of everyday life, and a landing place for nature loving families raising kids to explore the world around them with a spirit of discovery and a love of science. As the summer comes to an end, Momma, Martin and Sylvia reflect on all the things they loved about the summer season: hikes, walks along the beach, blueberry picking, climbing trees and collecting bird feathers. Then Momma suggests that they keep the summer outdoor fun alive all year long: “Every Thursday, lets have Nature School!” And so Martin joins the Goose-eye Wilderness School, and Sylvia and her friend Sophia create a Nature home-school. From wild craft cooking to outdoor games to building projects to tree identification, Nature School will be a year of unfolding learning and fun.